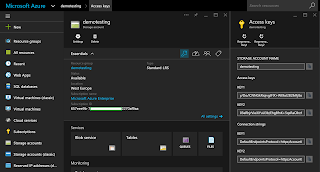 Just announced is the Microsoft Azure File System (https://azure.microsoft.com/en-gb/blog/azure-file-storage-now-generally-available/) which allows users to present Azure storage over the SMB protocol, much like what has been used in the enterprise for many years. Full details can be found in the link above. 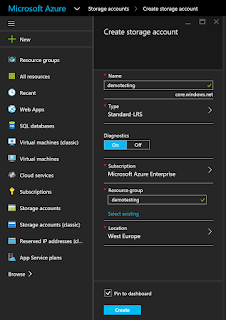 Data is stored in the following structure on Azure. Account\Share\Directory\File. 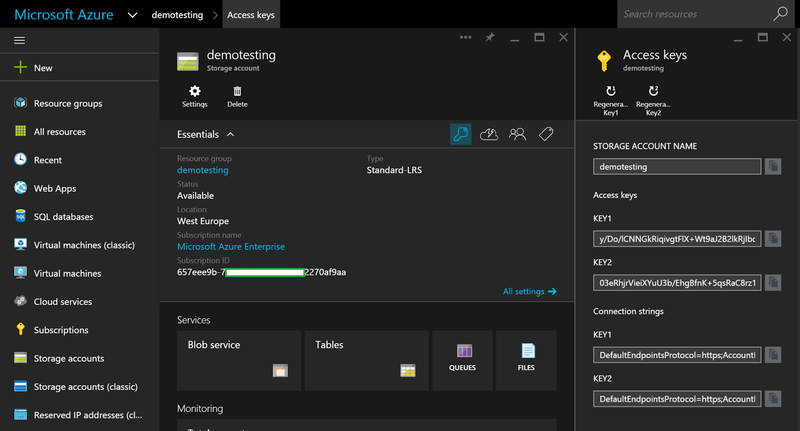 The Azure File System is build upon the same technology as the existing Azure storage architecture which includes blobs, containers etc. 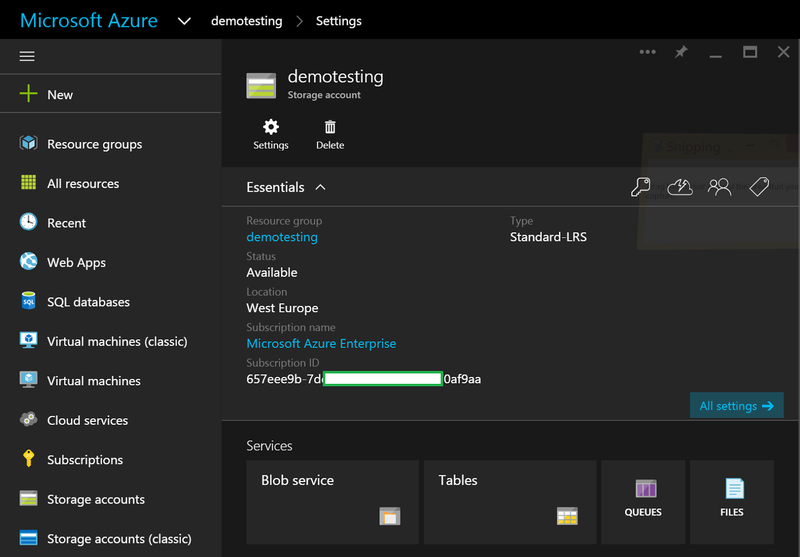 Therefore Azure File System is backed by all of the same SLA's and guarantees for durability, resiliency and availability as you would have come to expect. In this post I am going to outline the steps required to create a Storage Account with File Share, and how to present that share to an Azure instance. 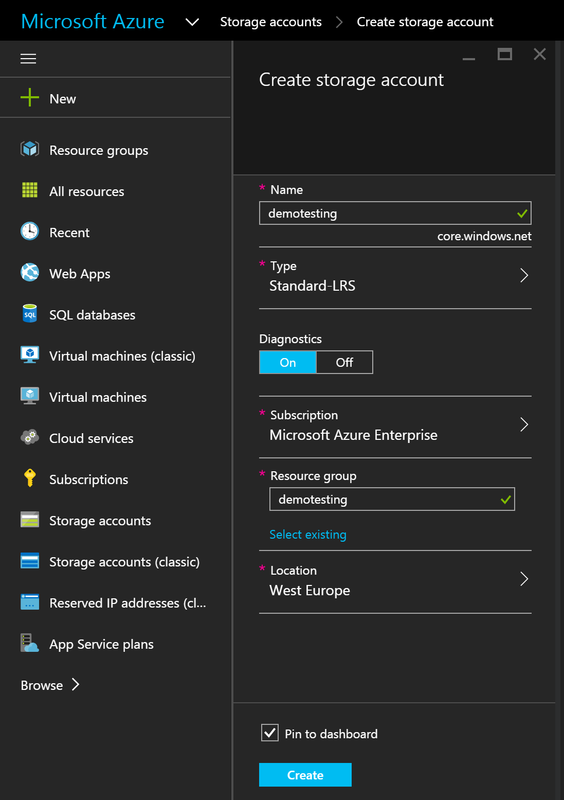 Firstly login to the Azure Preview Portal. 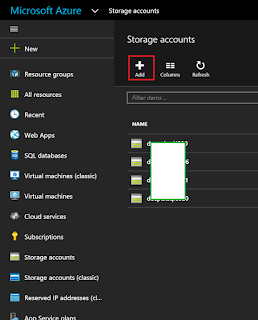 The Storage Account must be an ordinary Storage Account, and not one labelled "Classic", depending on when your subscription was first set up will determine if you even have access to Classic VM's and Storage. If you do not have a Storage Account click the Add button. Enter a name for the Storage Account, this must be globally unique. Configure the Resource Group and Regional settings to suit your requirements and click Create. 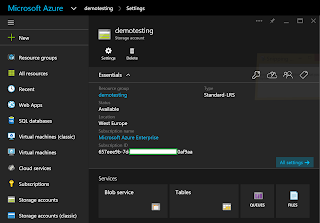 Once the Storage Account has provisioned click on it, and expand Services. You will notice there is now an option for "Files", if your Storage Account is "classic" the option for Files is not present. Click the Files tile. Click the + File Share button. Name the File Share, this only has to be unique to your Storage Account. Also give the file share a quota if you want to. Click Create. Now click on the File Share, and you will be faced with the following options. 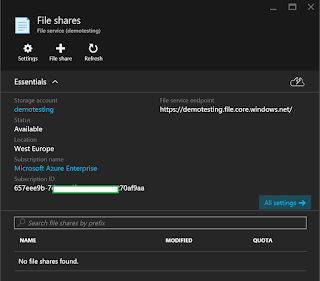 As per the Azure file structure, the next step is to create a Directory inside of the File Share. Click the + Directory button. 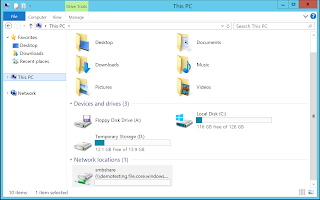 Once the directory is created, you then have the ability to upload files into the directory. 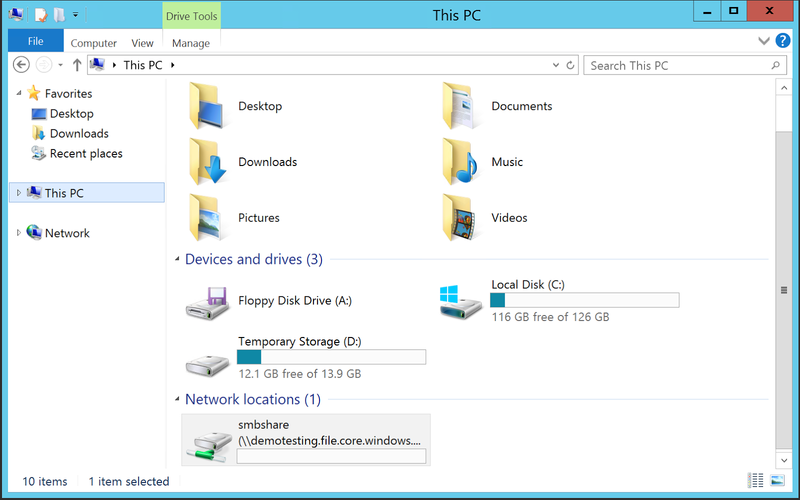 Now that the Storage Account is configured with a Share, Directory and sample file. You can now map a client device to the SMB Share, at the time of writing the following versions of Windows with the outlined version of the SMB protocol were supported. You can connect certain versions of Linux/Unix to SMB Share, further details can be found in the article above. 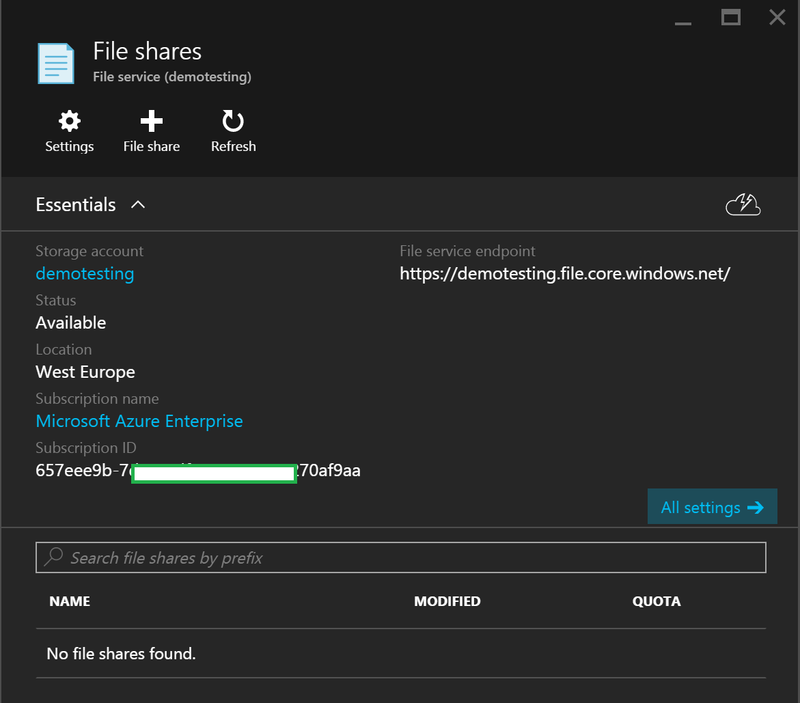 In order to authenticate the Azure instance you are using to connect to your SMB Share, you must have the Storage Account access key, you can expose these from the Preview Portal. Copy Key 1 to the clipboard.